Two Glass Doors & hardware from 2016 AS 27 FB. These are the glass doors to the immediate right upon entering the trailer. They are the tempered glass doors to the storage area under the sink. 2. 4 metal “hinges” to attach doors to cabinet. 3. 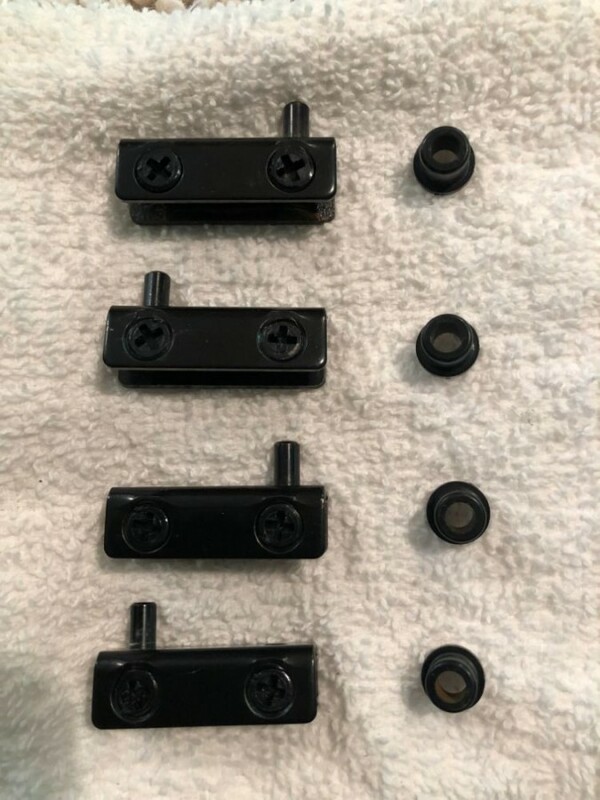 4 plastic bushings that fit between the “hinges” and the cabinet. Note: The white spot on the right door is an artifact of lighting (ie, a reflection of an overhead light). Both doors are solid black and slightly translucent, ie, you can vaguely see through them.